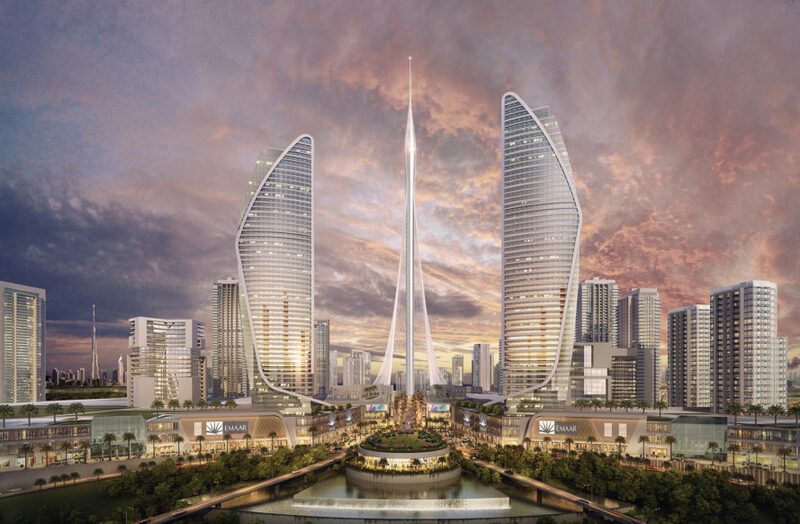 Architect Santiago Calatrava's imaginative idea for a new observation tower in Dubai was chosen from a pool of six proposals, and now Emaar Properties has revealed new details and images of the tower. 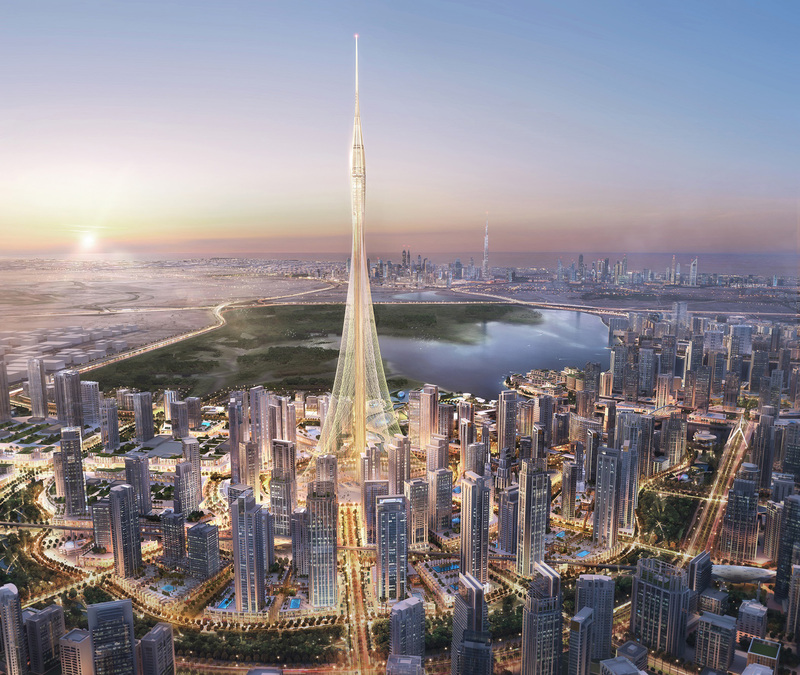 Calatrava shared his inspiration for the skyscraper, which is designed for superior energy efficiency. The observation tower, which will be constructed near the Ras Al Khor National Wildlife Sanctuary, is inspired by the shapes of a lily bud, stem, and leaves. It also incorporates the shape of a minaret, often present in Islamic architecture. It’s not simply an elegant tower, but one that’s designed to pave the way for optimum energy efficiency. A cooling system controls the tower’s temperature, and the water collected via the system will be reused to keep the building clean. The gardens and plants throughout the building “will encourage solar protection.” Wing doors and a shading system will contribute to the efficiency of the tower. 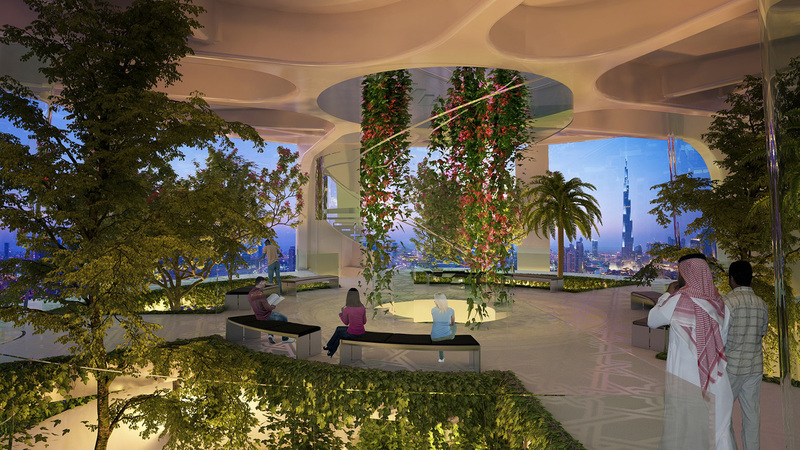 The tower’s pinnacle, shaped like a lily bud, will include 10 observation decks, as well as a Pinnacle Room providing panoramic 360-degree views. Three of the observation decks will be open to the public, including one with a café. Two VIP garden decks will be reminiscent of the Babylon Hanging Gardens, one of the Eight Wonders of the Ancient World. A Central Plaza on the ground level will boast entertainment as well, from retail to a museum and educational facilities; meeting areas will be scattered throughout the tower. The tower is inspired by Islamic tradition as well as the shape of a lily bud and leaves. The tower won't be the tallest in the Dubai skyline, but it will be taller than several other buildings in the city. 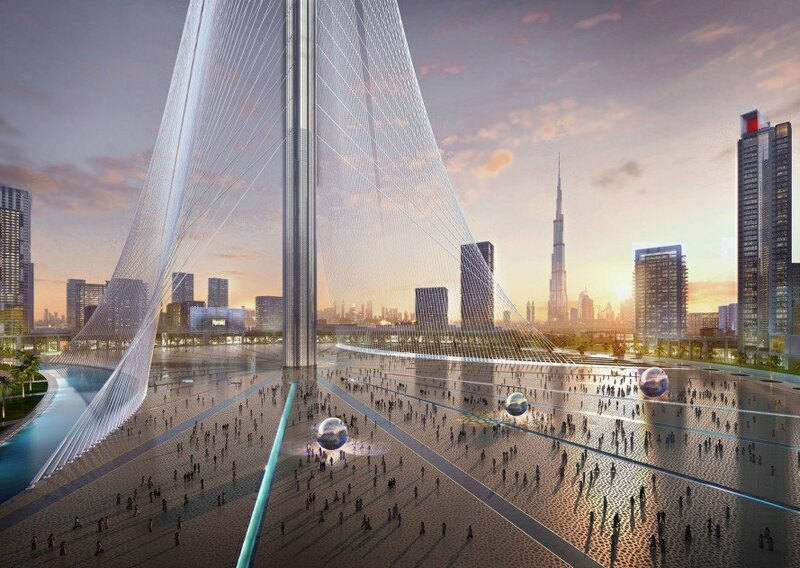 Calatrava said the design was inspired by classical art, in addition to Dubai culture. The building will be technologically advanced; Calatrava said he works to create beauty through technology and engineering. The ground level will include retail stores, a museum, and auditorium, as well as educational facilities. The building will be energy efficient thanks to an advanced cooling system, shading system, and wing doors.